Previous Structure: Single Span, 6.1 m treated timber bridge on treated timber substructure. New Structure: Double 2400 mm Corrugated Steel Pipes with 30 m invert length. 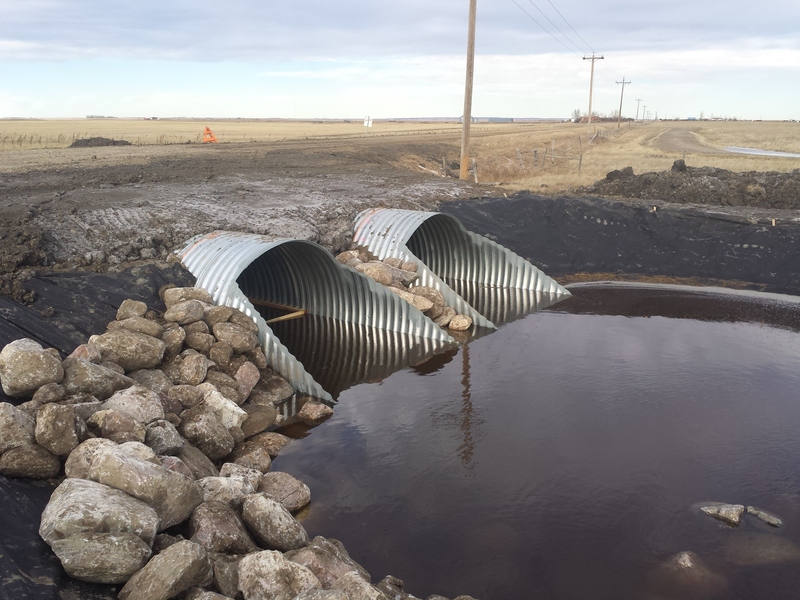 Roseke Engineering was engaged by Vulcan County, as the prime consultant for this bridge replacement project. We were responsible for all project phases including preliminary engineering, detailed design, tender preparation, tender opening and award, construction supervision, and project conclusion.